Ingram Brothers was established by two brothers in 1895 in Glasgow; Ingram’s became one of the leading suppliers of ingredients to the bakery industry in Scotland. 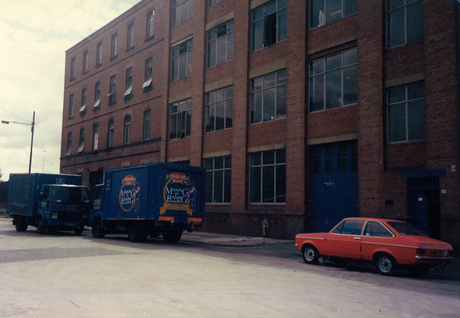 In the 1970’s the company expanded throughout the UK and Ireland. By the 1990’s Ingram Brothers made the bold move to concentrate on bulk manufacturing, making this the core of its business; Creating bespoke, bulk amounts of product for the bakery industry. In 2007 Ingram Brothers made its most recent move to Paisley after having been based in Glasgow for over 100 years. Ingram’s newest premises has been purpose built for food production and also has one of the most technically advanced sugar milling systems in Europe. This allows Ingram Brothers to have the flexibility to produce ingredients which are tailor made to customer requirements. Ingram Brothers is still privately owned and headed by two brothers, the great grandsons of the original founder, George Ingram. The continued independence of the company allows Ingram’s to manufacture products to the individual specification of many customers while still allowing for a highly personalized service. for industrial and craft bakeries. specialising in cake and confectionary icings from pastes to powders.